I have using Google Nexus 4 for more than 2 years, have experienced Android 4.2 (Jelly Bean) to 5.1 (Lollipop). The initial message APP was Messaging, then Google Hangouts. Until yesterday I opened Hangouts, it promoted me a new official message APP - Google Messenger. Today I installed it to have a try. The first impression is it looks similar with Hangouts, with simpler interface and faster. I’m happy to keep it and replace Hangouts, however there still some points I want to mention/complain. First of all I open the APP and see huge old messages (please ignore the unknown language/character, and as you may know, yes my living city have a big issue of spam message - faked base station, unscrupulous ads and suspicious sms). 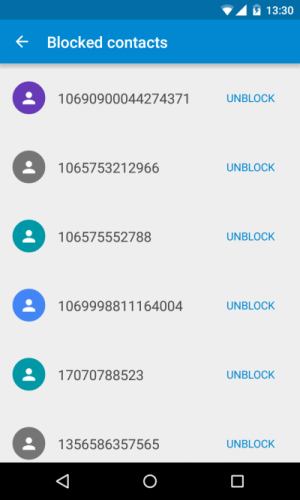 So I realized all blocked number/message from Hangouts are archived not deleted actually, I have to delete them again each by each. Actually they could develop a migration feature from Hangouts (or redesign a better blocked message store way). After I choose a item, from picture you can see the icons Add to Contact and Block are very close to each other, however they have totally opposite meaning. It is highly possible to click the wrong button, especially on small-screen phone or you have big finger. There is no block option for select multiple items. I have only one word - OMG! From the picture I get that I started use Hangouts from 2014, there are so many history messages, and it even doesn’t have a scrollbar on UI. Just list the numbers. No search function, no import and export, no backup. BTW I asked Hangouts team if they have export feature (answer was no), unfortunately Google Messenger doesn’t have this feature either. 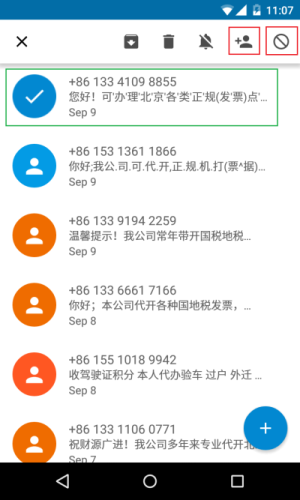 Spams are varied - some of numbers are mobile, some are likely from service provider; some real, some faked; some long, some short. 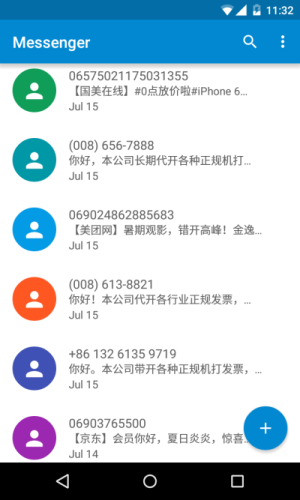 Since my living area have terrible spam problem, I have to close whole notification of the APP. 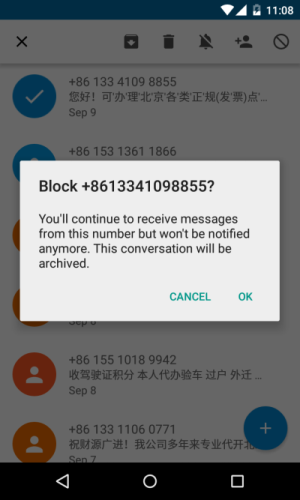 I’m wondering if it can provide a smarter way to block number, like block by number startwith/endwith, regular expression, message content etc. (I know there must have some powerful apps on Google Play, I just didn’t trust 3rd message Apps yet). I like Google Nexus, I’m enjoy Android. The post is not means Google Messenger APP is bad, I just think it could be better.